Halloween is a time for fun, but kids with food allergies need to be careful about which candies they eat. Most food allergies come from milk, eggs, peanuts, tree nuts, wheat, soy, fish and shellfish. And many candies have the first six on that ingredient list. But here are eight treats that should be safe, according to the Bay Area Allergy Advisory Board and Lil Sugar. For homes that are housing children with food allergies or celiac disease, or homes that want to offer trigger-free foods, consider painting your pumpkin teal this year! 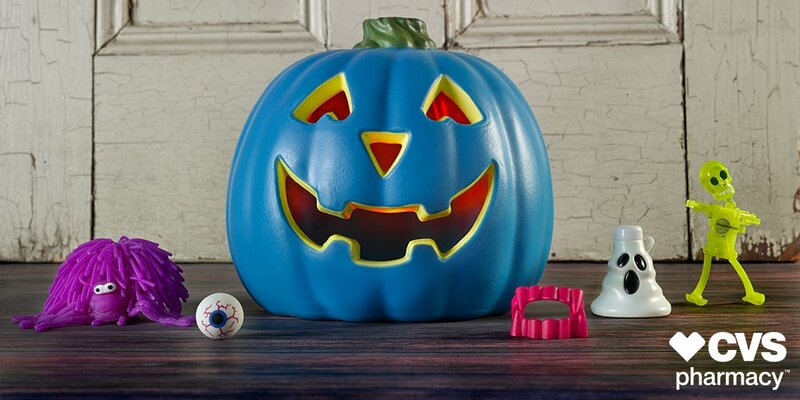 The Teal Pumpkin Project, started by Food Allergy Research and Education (FARE), aims to provide greater awareness of allergen-free or non food items for sensitive children on halloween. Low on paints? you can also purchase a teal pumpkin from a local department store or CVS. These lollipops are a safe and fun bet for your trick-or-treater. They do not contain milk or nut products and the processing aids do not include tree nuts, peanuts peanut by-products, egg, milk or dairy products. Dum Dums are also processed on dedicated lines, so you don’t have to worry about traces of allergens on the equipment. Ring pops can double as a costume prop and a sweet treat. These fruity suckers are free of all eight major allergens. These jellybeans come in a variety of delicious and downright weird flavors that kids like to mix and match. Gluten-free and allergen-free, they're a safe bet. Skittles are a fruity candy without any of the major allergens. Make sure to read the label or call the manufacturer to make sure the ingredients haven’t changed. Smarties are a classic Halloween candy, and not only are they free of all the major allergens, but they're also gluten-free. Starbursts are a chewy treat and the ingredient list shows they are free from all the major allergens. But you might want to check with the company to make sure they are not processed on equipment with other products that do contain allergens. Swedish Fish are chewy, sweet and sticky – all good things when it comes to a Halloween candy. But even better, these are free of wheat/gluten, peanuts, tree nuts, egg, milk and soy. Nerds are a Halloween staple, and finding grape in the strawberry section or strawberry in the grape section can be a fun surprise. Even better, Nerds are peanut-free. Check with Wonka to see if they are safe for other allergens.